Gaming smartphones appear to be an attractive segment for smart device and computer systems and components makers in 2018. The new gaming smartphone wave reminds me of how companies saw attractive mark-ups and profits in MSI/Alienware gaming laptops then started to move resources into product development a couple of years ago. More recently, all sorts of once conservative PC component makers started to create and sell PC gaming accessory ranges. The latest gaming phone entrant looks to be none other than the iconic Nokia brand, now owned by HMD. Nokia dabbled in portable gaming previously, with the N-Gage but that was a long time ago when a completely different type of mobile device was in everyone's pockets. 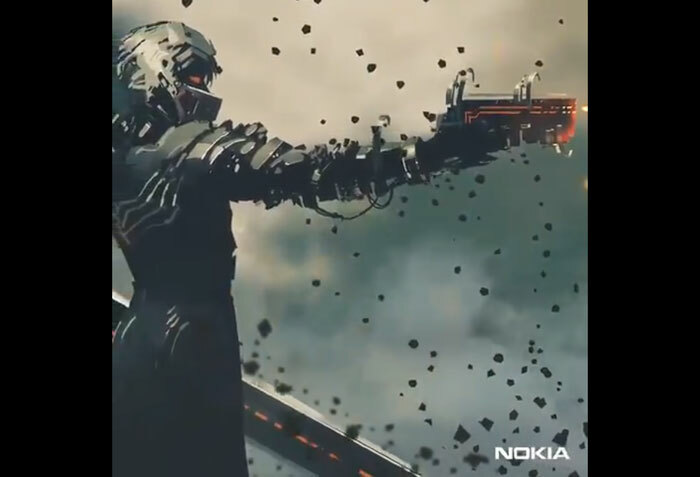 Yesterday the first sign of Nokia's gaming smartphone intentions were signalled by a teaser video released by the firm's India division on Twitter. The Tweet was taken down rather sharply but it wasn't before it was shared in pictorial and video form across Twitter and other social media. I have embedded a YouTube capture of the deleted teaser video below for your convenience. Above you can see the video which starts with a cyborg-type character firing some kind of machinegun at hulking angular transformer-style robots perhaps four times his size. The game video shows advanced and complex graphics effects like depth of field, flames, glows, clouds, and a plethora of particles in the air. 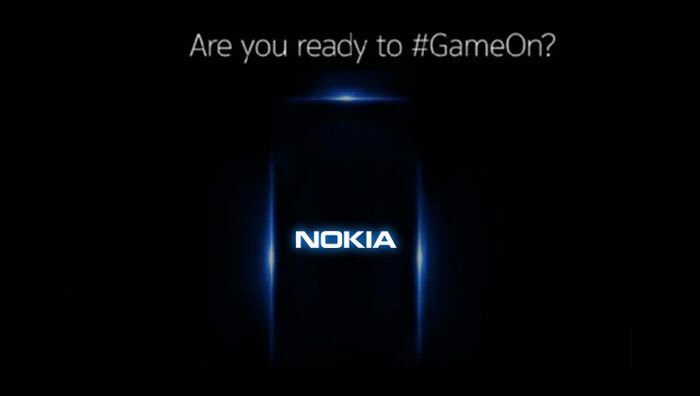 The 'gaming' segment fades out to show the blue light silhouette of a rounded corner rectangle style smartphone (I think you can see a red status light upper left), before fading to the Nokia logo, white on blue. The original Twitter post said "stay tuned for a phone you can #GameOn," according to GSM Arena. Now, we have to wait for official/leaked info on what specs this smartphone might boast, and wonder if Nokia HMD has any USPs to make its gaming smartphone stand out from the crowd. Meanwhile some gaming phone entrants, like Razer, are readying their second gen devices for launch. A recent Tweet by the Love Nokia Blog, provides some indication that the Nokia 5.1 Plus might be the device which was teased by Nokia India in its deleted Tweet. This device, due for launch on 24th Sept, will be powered by the mid-range MediaTek Helio P60 processor. Not sure how the mediatek mali G72 gpu compares to something like the adreno 630 in the SD845 but might be worth looking at, efficiency as well as power is quite important in this market with battery life being precious. there are a fair few rpg ports, like final fantasy, chronotrigger etc along with pubg and and fortnite that I might consider a gamer orientated phone next if it has a big battery >4000mah. even old school runescape is pretty fun on android. Is this the same Nokia that bought Withings, didn't know what to do with it and then sold it back to the guys they bought it from, for less than they bought it for? Nokia have certainly lost their way and should probably concentrate on what they are good at rather than trying to release niche products..
Trig;4013624']Is this the same Nokia that bought Withings, didn't know what to do with it and then sold it back to the guys they bought it from, for less than they bought it for?.. No. It's a Chinese company called HMD who've licenced the Nokia brand for its smartphones. Trig;4013624']Is this the same Nokia that bought Withings, didn't know what to do with it and then sold it back to the guys they bought it from, for less than they bought it for? No, that Nokia makes smart watches and other health related stuff.